With a little advice from trained professionals you can find out exactly what improvements will bring you the highest returns for the lowest expenditure, and that’s exactly what Hippo.co.za decided to look into. Every homeowner know that buying property is one of the most expensive but most secure investments you can make, as long as you have building insurance or home insurance to cover it. However, you want to get the most out of an investment which, in this case, will largely mean building improvements with the idea, of course, to be able to sell your home for the highest possible price. 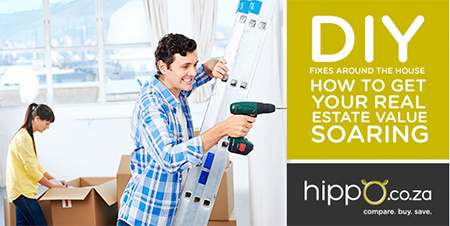 Hippo.co.za spoke to local DIY experts, construction companies and estate agency representatives to uncover a solid game plan to develop your property at a minimum expense, which is good news if you want to find out exactly what improvements will bring you the highest returns for the lowest expenditure.